For this post, I have put together a collection of the best oscillating tools currently available. 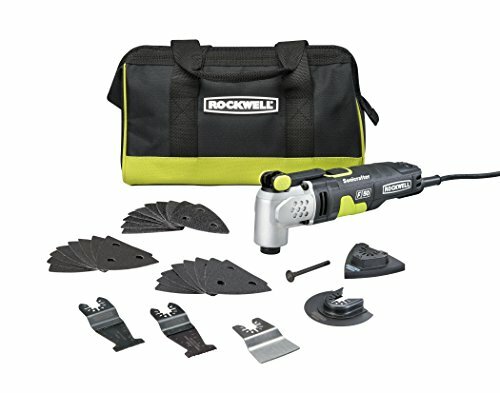 These tools are extremely versatile, and can be used for a vast array of tasks including, trimming door jambs for flooring installation, removing old caulking paint or glue, taking up vinyl flooring or carpeting, trimming cabinets for installation, or chiseling out door hinges. The following best oscillating tools use the latest innovative components to meet your needs and help to ensure you do your best work. So here is my list of The 10 Best Oscillating Tools. 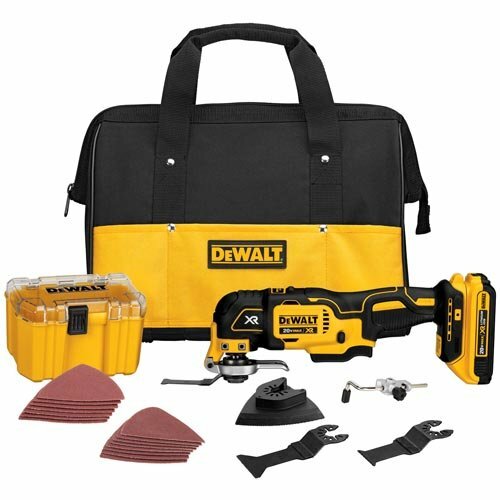 The DEWALT DCS355D1 20V MAX XR Lithium-Ion Oscillating Multi-Tool Kit (2.0 Ah) features a DEWALT brushless motor. Special QUICK-CHANGE accessory system allows blades and attachments to be changed quickly and without wrenches. Unit also features the DEWALT Oscillating Tool Guide System which allows users to set the depth or height for a series of cuts. 28-piece accessory kit includes popular cutting and sanding attachments. Universal accessory adaptor for use with most oscillating tool accessory brands. 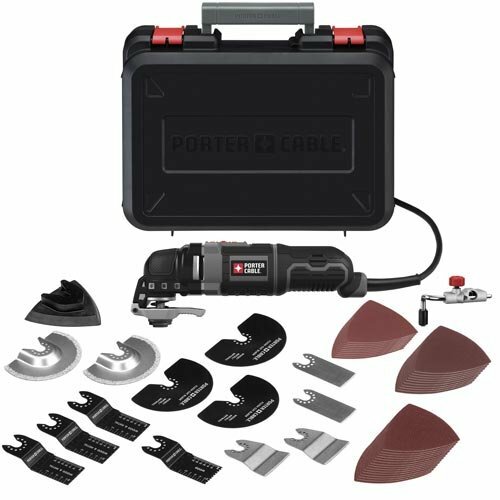 PORTER-CABLE PCE605K52 3-Amp Oscillating Tool oscillating multi-tool kit includes a 3.0 Amp motor for power and durability on the jobsite. Delivers up to 10,000-22,000 oscillations per minute so users can quickly complete different applications in a variety of materials. 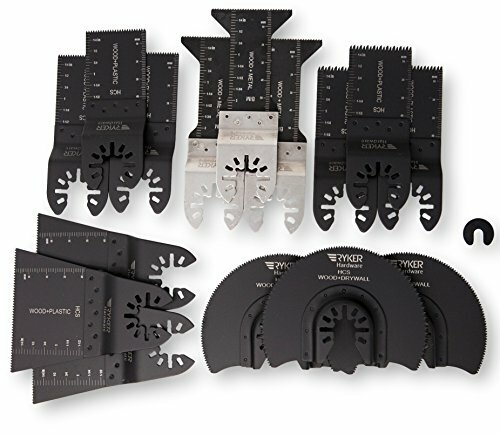 TOOL FREE SYSTEM blade change allows quick changes and adjustments for specific applications without wrenches and bolts. Depth and Cutting Guide helps complete plunge and cutting tasks faster and with more control. Variable Speed Dial optimizes performance and control across a complete range of applications. 3 Position Over Mold provides gripping area on the front, middle and rear to improve comfort by reducing vibration. The new Rockwell Duotech Oscillation Sonicrafter F80 is the first oscillating multi-tool that provides a choice of two oscillating angles: 5.0 and 3.4 degrees. Duotech Oscillation™ Technology puts speed and control into one tool. Select between 2 modes, power and precision, to fit your job. Universal Fit System accepts other major brand accessories. Hyperlock Tool-Free clamp provides 1 ton of force to prevent slipping. Powerful 4.2 Amp motor with constant speed control won't stall. Variable speed dial for precision control. Includes 10 accessories plus a hard carrying case. 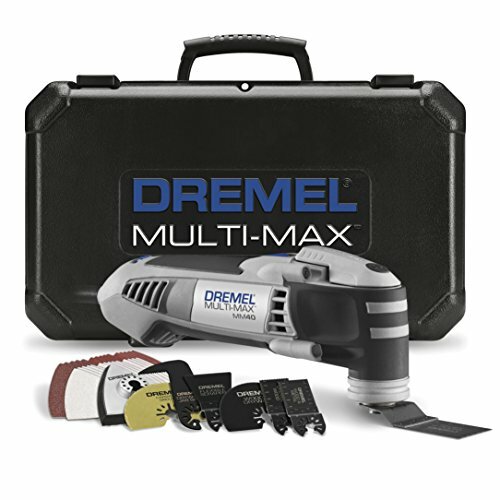 The Dremel Multi-Max MM40 has all of the top-line features you’d expect from the Dremel brand. Packing a robust and powerful 3.8 amp motor with Quick-Boost™ electronic feedback MM40 is capable of tackling demanding jobs while it automatically maintains constant speed through the toughest materials. Innovative Quick Hold™ magnetic accessory interface holds the accessory in place while changing accessories so you don't have to. Extra-wide 3.2-degree angle of oscillation. High-performance 3.8 Amp motor for the most demanding applications. Quick-Boost maintains constant speed throughout toughest applications and materials. Up-front on/off switch – for one-handed use and maintains speed setting. Dremel storage case included to hold tool and accessories. 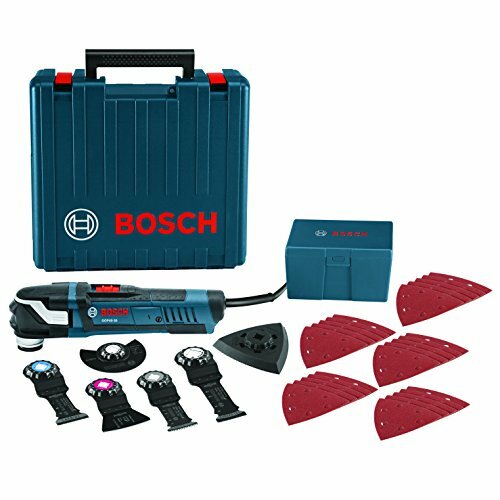 The Bosch GOP40-30C StarlockPlus Oscillating Multi-Tool Kit includes a tool that has the Starlock next-generation 3-D tool-accessory interface. 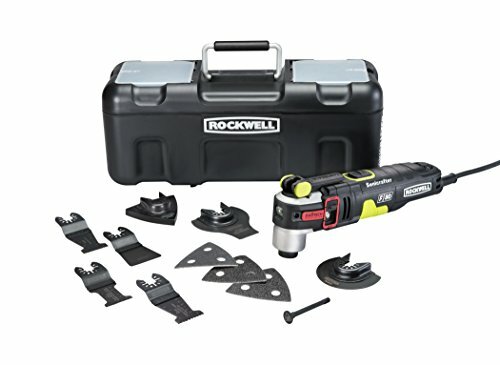 More contact surface area between the tool and accessory, the Starlock interface is a cupped 3-D tool-accessory connection that delivers greater torque transfer for an expanded work capacity. No-touch blade-change system makes it easy to attach, remove or reposition blades. Professional-grade 4.0-amp motor delivers a top speed of up to 20,000 oscillations per minute and the tool provides a 3.0 degree oscillating arc. A variable-speed dial allows the user to set the optimal speed for the task. Constant Response circuitry maintains the desired speed under load. Reinforced gearing for more durability, less vibration and optimal force transmission. Only 3.3 Lbs., this light and compact tool reaches tight spaces, provides comfortable ergonomic grip zones. LED light for illumination in dark work areas. Trades of all kinds are turning to oscillating multi-tools for a range of applications, and the Makita 18V LXT Lithium-Ion Cordless Multi-Tool delivers corded speed and power without the cord. Engineered with additional features like reduced vibration and lower noise for improved performance, and is ideal for cutting, sanding, scraping, grout removal, and more. 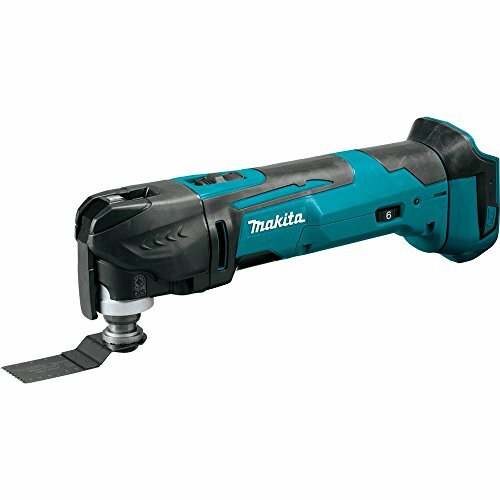 Delivers up to 20 minutes of run time with Makita's fast-charging 18V LXT Lithium-Ion 3.0Ah battery (sold separately). Variable speed control dial (6,000 - 20,000 OPM) and soft start feature enable the user to match the speed to the application with more control. 3.2 degree oscillation angle is engineered for faster, more aggressive cutting and sanding. Small diameter barrel grip for improved handling, a large on/off slide switch with lock-on button, and adapters to fit most competitive accessories. Engineered for a range of applications including cutting, sanding, scraping, grout removal, and more. 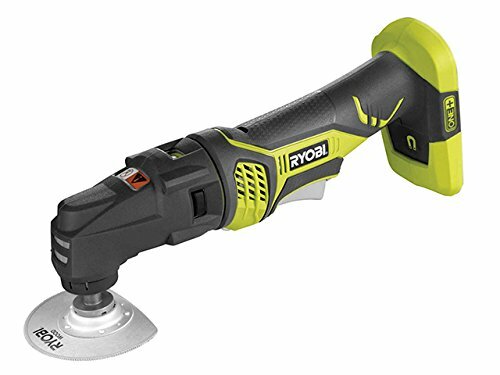 The RYOBI® 18V ONE+™ JobPlus™ delivers innovation and versatility. Use multi-tool accessories from the most popular brands with the included universal adaptor, which stores on-board for convenient use. JobPlus™ base is compatible with the other interchangeable tool head systems. Fully compatible with the RIDGID JobMax Interchangeable tool head system making this tool even more versatile. Like every RYOBI 18V ONE+ blue or green tool, this JobPlus works with any 18V ONE+ battery. Upgrade to lithium-ion or LITHIUM+ batteries for lighter weight and better performance. 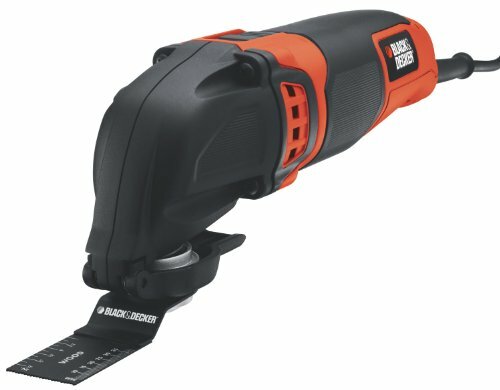 The Black & Decker BD200MTB 2.0 AMP Variable Speed Oscillating Multi-Tool has a tool free blade release that makes accessory changes quick and easy and the quick release lever eliminates the need for a hex key. 13 available accessories, the range of possible applications is virtually unlimited. Variable speed dial that has six speed settings (10,000-20,000 OPM) to deliver the precision performance that is right for each job. 2.0 AMP motor powers through the toughest applications. Comfort grips to provide better handling and control for optimal results. This Ryobi JobPlus multi tool is an all-in-one piece of machinery that can get a variety of tasks done around the house. Use it to clear the grout from your bathtub, sand up some furniture, and even make cuts into wood, metal, plastic, or drywall like you would with different saws. You only need this one tool to do it all; you only need to swap out the head. 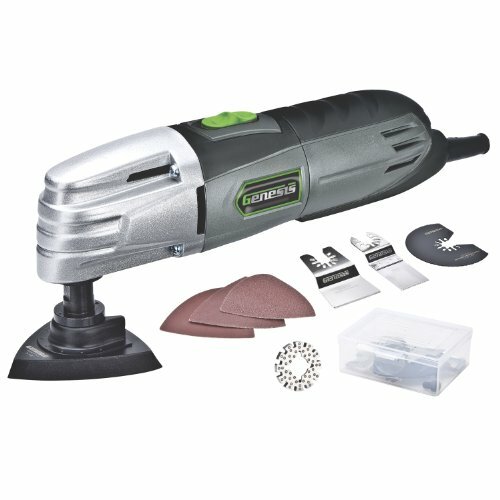 Comes with three heads included for sanding and cutting, with six additional sanding pads. The Sonicrafter's Hyperlock tool-free blade design provides 1 ton of maximum clamping force to prevent blade slippage and ensure your accessories are securely in-place. Engineered with constant speed control for maintaining the speed-of-cut under load. Variable speed dial allows for optimal precision control. Vibrafree counterweight offsets vibration for a smooth cut. Universal Fit System allows other accessories to fit tightly. Hyperlock tool-free blade change system provides 1 ton of clamping force to prevent blade slippage. Powerful 4.0 Amp motor with constant speed control won't stall. 33 piece kit includes a variety of blades and sanding attachments for a wide range of applications. 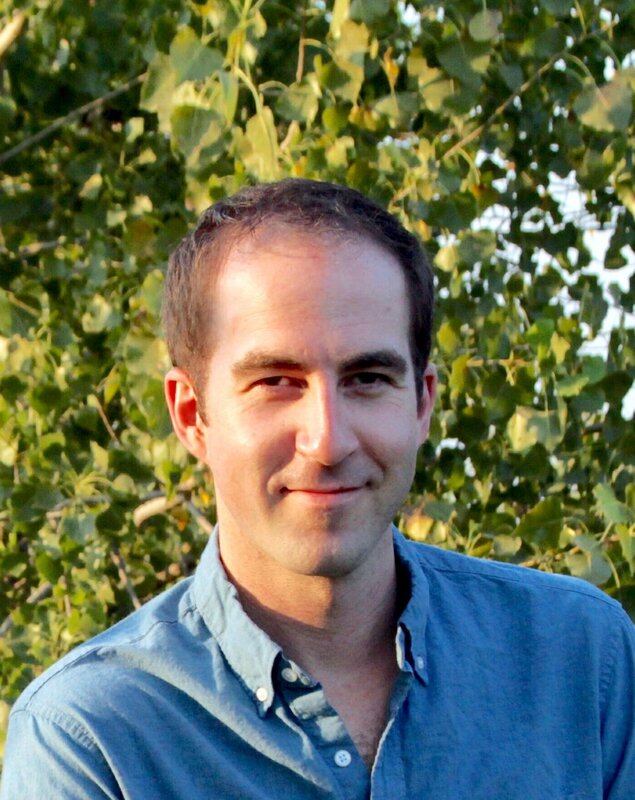 I hope this list of the best oscillating tools was helpful.